The communities of Tinambac and Cantilan recently approved the first ever TURF+Reserve designs in the Philippines. 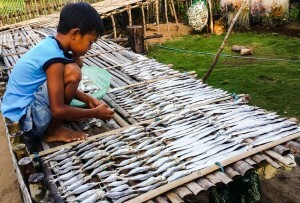 This accomplishment follows months of hard work by the Fish Forever team and our talented on-site coordinators, and collaboration with the local government units, village leaders, key agencies, and, most importantly fishers, and community members. This effort is part of the Fish Forever (FF) program: a collaboration of EDF, Rare, and the Sustainable Fisheries Group at University of California Santa Barbara (UCSB) that empowers fishing communities in the developing tropics to manage their near-shore fisheries with a proven, sustainable management approach called TURF+Reserves. In the Philippines, the goal of FF is to create a network of TURF+Reserves both within municipal waters (0-15km) and between adjoining municipalities.